Pankaj's Indian online shop is based in Toulouse, France. Since 2011, sharing the culture of her country, India, with passion and application. All products available for sale are in stock in France. Pankaj proposes in her online store spices and Indian food, cooking utensils and Indian dishes, Ayurvedic products . As well Indian handicrafts: decorative products and Indian fabrics, clothing, fashion accessories and Indian jewelery. And many more wonders of India! Pankaj selects the items for her shop according to her taste, with an authentic and modern look on her country. 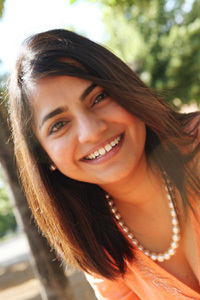 Pankaj started sharing her culture by starting a blog about Indian cooking and vegetarian recipes in 2007. In 2009, she made a first booklet of Indian vegetarian recipes ("Vegetarian Indian Cuisine: Wonderful Recipes and Tasty Stories", publisher BOD), then in 2012 a first book of vegetarian Indian cuisine ("The flavors of sacred India" , publisher Almora). She is currently working on the 2nd volume with new Indian recipes. To preserve their authenticity, she takes the photos of the products of the shop and of the recipes of her blog and her books. For any question or request, please use the contact form provided for that purpose!